When creating a vehicle wrap, there are a few steps you need to follow to ensure the success and effectiveness of your artwork. You should not skip any of them if you want to meet or exceed the expectations of your clients. Let’s say you already have a digital vehicle template and a software to create your car wrap design. Now you have to start with the design proper, which also involves a series of steps. Sketch your design by hand before constructing it on your program. To draw your design on accurate representation of your client’s vehicle, make a rough sketch or print out your template. Ask your clients what they want and use it as your guide to creating a vehicle wrap design they will love with assets from SignSilo.com. Before creating your design on the computer, show it to them again for approval. Create a bold design. Like billboards and signs, vehicle wraps should be large and easy to see – even from afar. Make sure the important elements, such as contact details and brand, are clear and legible. Use big, eye-catching graphics and easy to understand words so drivers and passengers will notice the vehicle when on the road and among fleets of other cars. Use strong colors. Most people will encounter your vehicle wrap designs in non-optimal situations. They may see it on the road amidst high-speed traffic and blinding sunlight. So, use colors that show up well outdoors such as red and green. Avoid using light and past shades as they are hard to see in bright sunlight. Also, stay away from colors that blend together. Yellow and orange or purple and pink are difficult to distinguish, making it difficult for people to see your design clearly. such as contact details and brand. Passengers and drivers only have a few second to read your content, so make it brief and concise. Stick with simple, bold fonts and omit non-important words such as lengthy slogans. Give at least a 2-inch space on important vehicle wrap graphics. To make the most important parts of the warp stand out, give them enough space. If you are using more than one major elements, make sure they are at least 6 inches away from one another. Major elements include logos and product photos, while non-important graphics include background elements and general stock photography. Keep the car’s body in mind. Keep in mind that your design may not look exactly as it does on the actual vehicle. Avoid making designs that wrap around multiple sides and over areas that move, such as doors and windows. Place the essential elements on flat, unbroken areas. Vehicle wraps are extremely large designs that go around the entire car or parts of it. They give a vehicle colorful, complex and unique look, making it more noticeable to the public’s eyes. 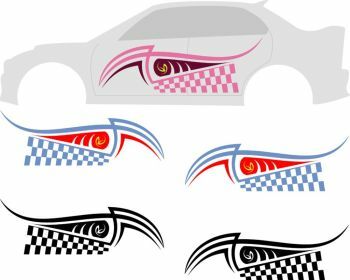 When designing car wrap graphics, understand and follow the above steps to make the best product possible. Car Wrap or Paint: What Should You Use? 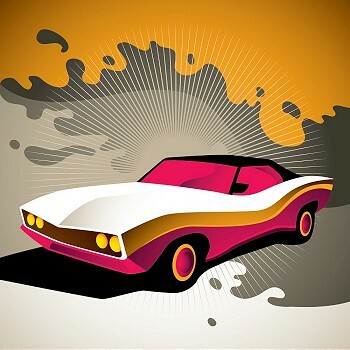 Due to the advent of vinyl vehicle wraps, many people are left wondering whether to use them or stick with a paint job. There is no doubt that covering your car with a car wrap is cheaper that painting it. The latter can cost you between $3000 and $10000, depending on the quality of paint and the procedure. On the other hand, you will only shell out between $2500 and $5000 with the former. Of course, your expenditure is subject to the material and extent of the project. Resale Value. Vehicle wraps retain the manufacturer’s original paint, which keeps the resale value intact from a devalued aftermarket paint job. Keep in mind that your preferred color may not be in line with your future buyer’s favorite color. Keeping the original color will allow you to keep the resale value intact. Limitless Choices. 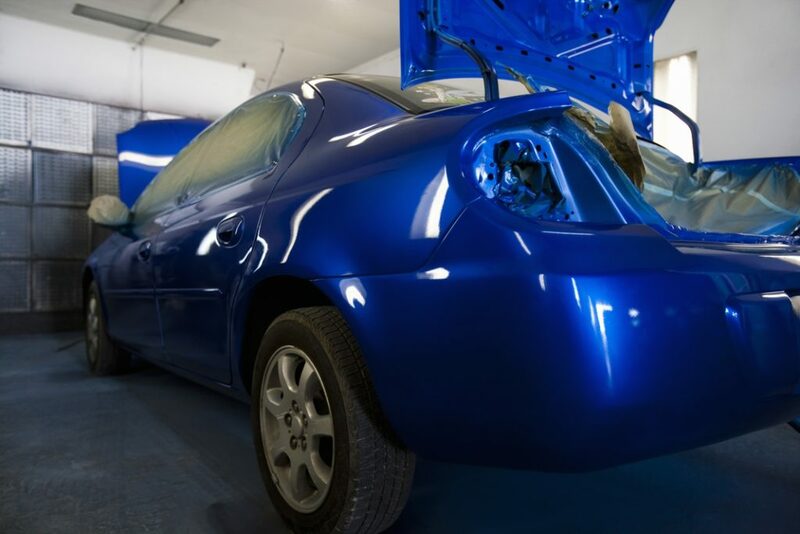 Upon purchasing your dream car, you may want something different – a design or color that is not available in factory paint. Vinyl wraps can help make your car fantasies come true. Stand out from the rest of the cars on the road and give your vehicle a hint of your personality with vinyl ready designs. If you are looking for change after a few years, you can just remove it and choose whatever you want – the sky is the limit. Installation Time. Painting your car a new color will leave you without transportation at least two weeks. On the other hand, getting a vinyl car wrap will transform your car in just three to five days. So, don’t leave yourself stranded; wrap up your vehicle. 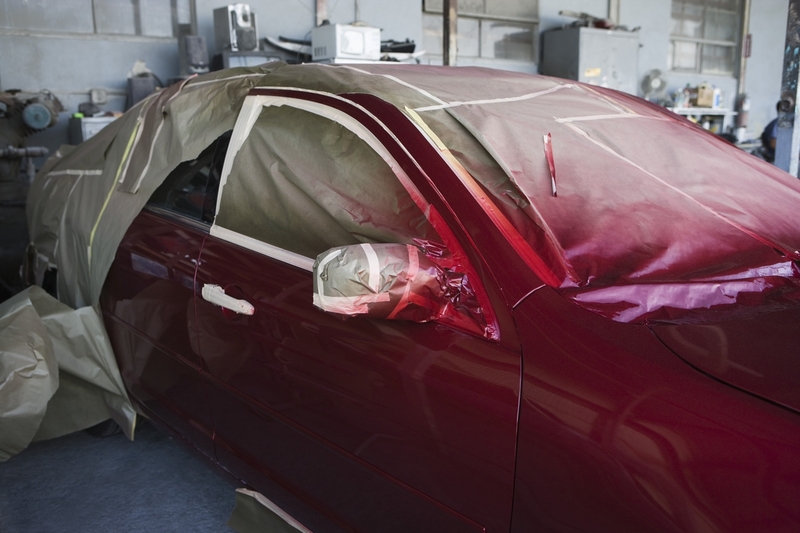 When you cover your car with vinyl, you are protecting every inch of your factory paint from all vulnerabilities: weather, rocks and prolong sun exposure. Car graphics are very durable. It will act as a shield, so say goodbye to abrasions, stone chips and natural hazards. Easy Maintenance. Constantly waxing your car may be taking a toll on you. So, allow yourself to relax by never waxing again. Vinyl wraps only requires handwashing with soap and water to make them look brand new. Safe Removal. High quality vinyl can be safely removed. You can remove it after four to ten years without affecting your current paint. Long Lasting. Vinyl wraps are also long lasting. A wrap’s life is affected by the duration of its exposure in the sun. The longer it is left outside, the quicker it fades. To maximize the life of your vehicle wraps to full extent, keep it in the garage when not in use. Unless your paint is in bad condition and will not safely accept a wrap, wrapping your car is the best option. It will not lower your vehicle’s resale value and will not take long to install. You can also enjoy endless options, easy maintenance and safe removal. The benefits of getting a wrap far outweighs those of painting your car. Wash your car graphics regularly. Spend at least 5 minutes daily to hand wash your graphics with soap and water. Rinse the debris off by spraying water. If you are using a new detergent, make sure to test it on a small area first to ensure it does not cause bleaching or smearing. To finish, rinse with water again and use a clean microfiber cloth to dry. Apply polish. To add a layer of protection, make sure to apply a silicone or Teflon-based polish. You can also use wax on gloss vinyl graphics to protect it again harsh elements. Keep your vehicle away from the sun. When you are not driving, make sure your vehicle is not under too much sun exposure. Keep it on a garage or any covered area. Also, cover your car with a cloth to keep it from acidic pollutants prevalent in metropolitan areas. Don’t allow contaminants to sit on your graphics for long periods of time. Allowing fuel spills, tree saps, bird dropping and the morning dew to sit on your car graphics can quickly damage them. So, always spot clean them with hot water and a citrus-based cleanser. Don’t run your vehicle under pressure washers. Automated car washes with brushes and pressure washers can chip and abrade your graphics. While brushless car washers are great, nothing beats hand washes. Don’t apply carnauba-based wax. Carnauba-based waxes are abrasive polishes. They have cutting compounds that can damage your car graphics. Don’t hold the nozzle of pressure washer at an angle to the edge of your vehicle graphic. This can cause peeling. To extend the life of your decals, hand wash them. You can also use low pressure and temperature, but keep the nozzle at least one foot away. 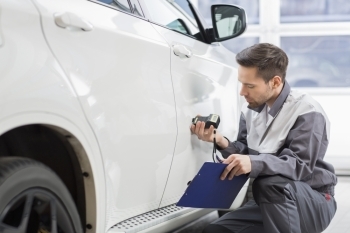 Caring for your vehicle graphics is easy if you just follow these guidelines. The effects of sun exposure, abrasions and other elements can be reduced with regular cleaning. To provide added UV protection, applying an approved wax after cleaning is a great idea, especially for horizontal areas. Many factors affect the lifespan of vinyl wrap. Most of them are in your control. The graphics may last longer or shorter, depending on how you take care of them. If you are thinking about having a car wrap installed on your ride, you need to know the dos and don’ts of keeping your graphics looking great. Keep in mind that maintaining a clean wrap and protecting it with wax will help preserve digitally printed and pain replacement vinyl wraps. Low cost. One of the most appealing features of vinyl graphics is the cost. Compared to a high-quality paint job, a full vehicle wrap will only cost a fraction of the price. You can change them anytime you want. Plus, they can last between three and five years. Digital design. Vinyl vehicle wraps can be customized with digitally printed designs, allowing you to create a distinctive appearance for your vehicle. Some websites have incredible samples of vinyl ready designs. You can also contact them to create a design that will advertise your brand. Grab attention. Brightly colored vehicle wraps attract customers. They make your car stand out from all others on the road. People will not pay much attention to a plain white van, but will surely notice a well-designed car wrap. Vinyl car graphics are so engaging that they gravitate passing driver’s eyes towards them. Reach a wider audience. Depending on the number of vehicles you have, and the frequency and distance of their travels, you can reach thousands to hundred thousands of potential customers per month. Studies show that companies can gain more customers from their vehicle wraps than their websites. Attract without distracting. Unlike print and radio ads, vehicle wraps do not interrupt your target audience’s reading. They can be easily spotted without significantly distracting them from their current activities. Recent reports indicate that customers respond more to “in your face” approach because it isn’t enforced. They simply enjoy the striking wraps and don’t mind the advertising. Get mobile. With vehicle wraps, you don’t need to wait for customers to see your ad on TV or to come to your store. They travel into their view, non-intrusively reaching out them over all the roads. Imagine the lead possibilities from the mobile exposure that these car wraps bring – they are nearly endless. Save money. Vinyl car wraps are a cost-effective way to generate results for years. They do not have recurring costs for the duration of your advertisement. You can change your vehicle wraps whenever you need or as little as possible to save more money. Your initial investment can be used for long-term advertising campaigns. Advertise locally. Car wrap advertising allows you to promote to your local market. The people who will see your ad the most are those in your area. The best thing about local marketing is it produces outstanding results. That’s because people like to deal with nearby businesses. Protect your car. Vehicle wraps protect the body of your vehicle from small dents and scratches. They help keep your car in better condition. There are practically no downsides to using vinyl car wraps for advertising. If you want to stand out from competition, they are definitely a good investment. However, you also need to make sure that your designs are catchy. You can get vinyl ready designs from a reliable website like www.SignSilo.com to guarantee results. Remember, choosing the right design can make all the difference.